Google has confirmed that site speed is a ranking factor in its algorithm. Fast websites rank higher and generate more traffic. 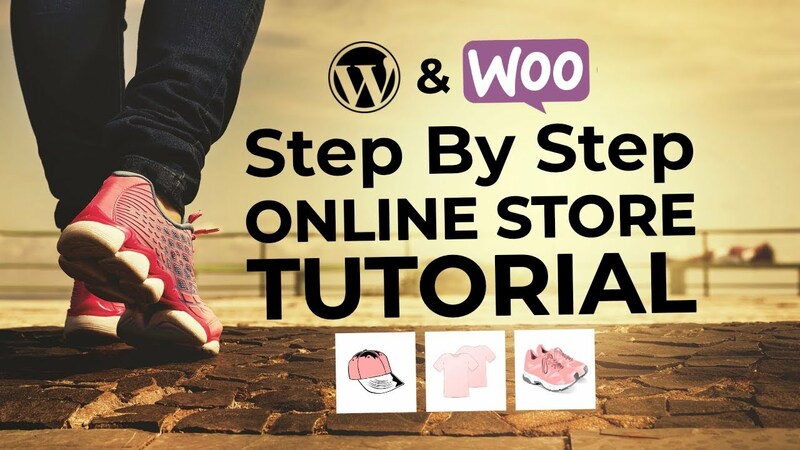 This is part 1 of our quick two-part series on how to speed up WordPress. Fast-loading websites improve the user experience, resulting in more page views, time on page, and other important metrics. Fast websites mean happy visitors. A sluggish website can kill your conversion rate – a drop of 47% for an extra 2-second wait. Fast websites enjoy high conversion rates and a healthier bottom line. We’ve heard all the upsides before, though, yet many of us still ignore the warnings and plod along with unoptimized websites. In my opinion, it’s an issue of time and a lack of confidence. The ‘time’ part is self-explanatory, of course, but to inexperienced WordPress users, buzzwords like ‘optimization’ are intimidating. Articles on speed optimization contain lots of technical talk, resulting in many WordPress users (wrongly) believing that they can’t do it, so they focus their efforts elsewhere. This simply isn’t the case, though. Anyone can speed up WordPress and enjoy lightning quick load times, and today, we’re going to prove it. So here’s my promise to you: 5 steps, each taking less than 10 minutes (most take under 2), that even an absolute beginner can perform. The end result: a much faster website. Before you start, test your website speed using the free Pingdom tool. In about an hour when we’re finished, I want you to test it again to see how much faster your website is! If you only take one thing from this list, let it be this one. No amount of on-site tweaking and optimization can undo the damage of a bad web host. So make life easier for yourself by spending 10 minutes or so selecting the right hosting provider for your website. I know, I know – bargain-basement prices can be tempting. But these hosting services are cheap for a reason: they cram so many websites onto their servers that each site can only use a tiny fraction of the resources available. Remember: running a successful website starts with choosing a good host. Get the foundations right, and everything else will click into place. High-quality hosting doesn’t have to cost an arm and a leg either. ThemeIsle recommends SiteGround for shared hosting and Flywheel for managed WordPress hosting – prices start from $3.95/month and $15/month respectively. Time taken: 10 minutes to sign up with one of our recommended hosting services. Behind your hosting service, caching is probably the next best way to speed up WordPress. It’s so effective that caching can result in a 10x speed gain over a non-cached website. Adding caching is as simple as installing a caching plugin – and we recommend W3 Total Cache if you’re looking for a free solution. If you’re willing to invest in your site speed, check out WP Rocket – noticeably better performance than W3 Total Cache. The out-the-box default configurations work perfectly well with both plugins, so you can enjoy the speed benefits the moment you hit activate. Time taken: 30 seconds to install a plugin. A well-organized filing cabinet helps you to find your files more quickly, right? This is the principle at play when it comes to database optimization – remove the clutter, and your server can retrieve and display your web pages faster. Like caching, database optimization is something you can benefit from instantly – simply install and activate the WP-Optimize plugin. Again, don’t worry too much about complex configuration screens – it’s safe to trust in the plugin’s presets. Installing WordPress plugins is a trade-off between adding cool functionalities and slowing your website down. Now, I’m not going to tell you to uninstall all of your plugins just to speed up WordPress – that would be silly, and deny you some of the features that make your site function. However, when it comes to plugins, less is more. It’s surprising how quickly our websites become overloaded with plugins, usually without us even realizing it. Test this out if you don’t believe me. Navigate to wp-admin / Plugins and see how many you have installed – I bet it’s more than you think. Of course, there’s no “perfect number” of plugins. However, I’m going to go out on a limb here and say that the amount installed on your site right now is too many. Work your way down the list of plugins, asking yourself, “Do I really need this one?” If your answer isn’t a resounding “yes,” you don’t need it. Trim the fat and uninstall any unnecessary plugins. Time taken: 5 minutes to go through your plugin list and delete any surplus to requirements. Although we’re always told to update our websites, I know that I’m guilty of pretending I didn’t see the five or six update notifications waiting for me in the WordPress dashboard. Failing to update is definitely bad practice, though – and we’re talking about updates to the core, theme, and plugins here. Speed often isn’t a priority of updates – updates tend to focus on introducing new features and patching up known security issues. However, over time, any bloated code is improved and optimized, and gradually that translates into small speed improvements. So if you’re using software that’s a few versions old, you can expect to see the biggest improvements from hitting the update button. You should be updating for reasons other than speed anyway – so just enjoy shaving a few fractions of a second off your site’s load time as an extra bonus. 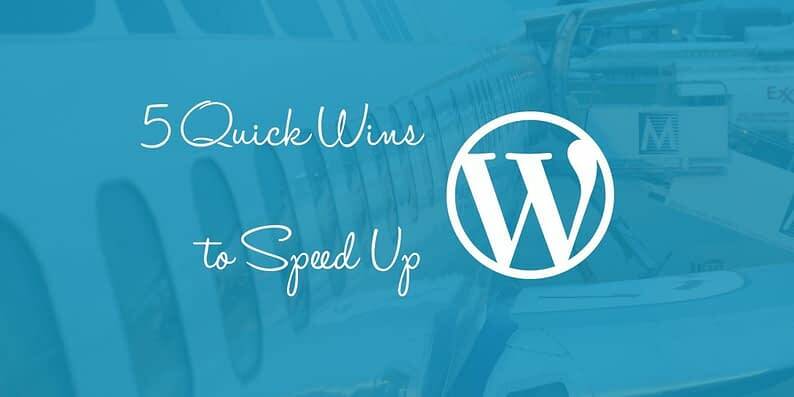 And that concludes our list of 5 quick wins to speed up WordPress. Putting today’s post into action should take no more than 10-15 minutes. Some steps are more effective than others, admittedly, but when fractions of a second can have a serious impact on your conversion rate, every moment counts. 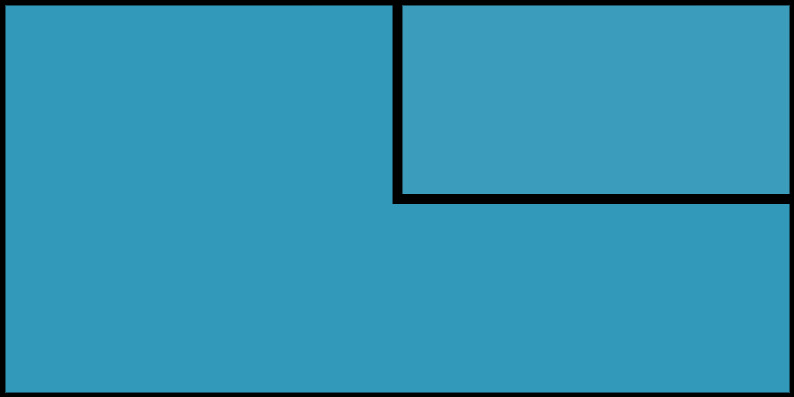 With each step stacked on top of each other, you will see a significant improvement in your website’s load times.